I bought my very first wanderlust ticket on trust; not knowing how I was going to get there, who I was going to go with, or where I was staying. I just had a goal to go to a yoga festival and Wanderlust Squaw Valley was the one I picked! “Yoga, Music, Nature” – I had to go. I am usually one to plan, research, figure things out, have everything organized, and know exactly what I am doing before I pull any triggers or spend money. I like to be organized and prepared. Spending $400 on a festival ticket without doing any of that stuff was a leap of faith and totally put me out of my comfort zone. I put trust in the universe and trust in myself that I was going to figure it out because gosh dang it, I was crossing that goal off my list! That was over two years ago. I have now been to five Wanderlust Festivals and taught at three of them, all because I was open to possibility. I was teaching Stand Up Paddleboard Yoga in Chicago when I went to Wanderlust at Squaw Valley. There were only three SUP Yoga classes available and they were all filled up when I went to register for my classes. I was so bummed and disappointed. When I got to the festival, one of the amazing people I met there had registered for one of the classes. She was driving separately instead of taking the shuttle and told me she would drive me and we should go to see if maybe they would have an extra board or perhaps there would be a no show. I was open to possibility at that point so decided to give it a shot. Sure enough, a board became available to me and I took an amazing class and met the BOGA YOGA team. I am now an ambassador for them and have met even more amazing people because of them. You just never know who you will meet or where life will take you. 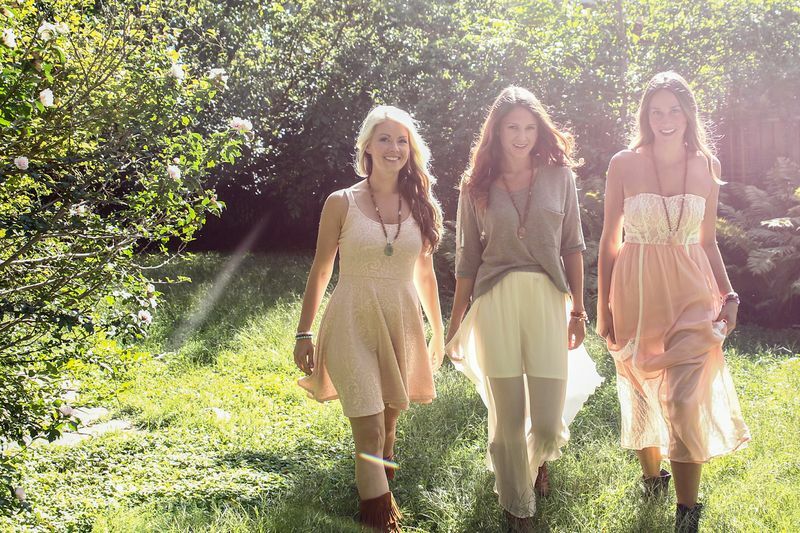 The Wanderlust festivals are as much about yoga as they are about community. This, in my option, makes total sense because yoga is union and connection; thus, how could it not also be about community. Walking around the festivals, I always feel at home in a faraway place. I’ve found myself saying, “See, there are other people who are just as crazy about yoga, recycling, healthy eating, and stretchy pants as you are.” I’m from Chicago where there’s a big yoga community but at the festival it’s a whole new level. At Wanderlust, I’ve always felt it was very easy to talk to and feel a connection to someone you’ve never met before and I’m usually an introvert! The first time I taught at a Wanderlust Festival, it was in Whistler, Canada. This meant that I was going to be charged out the wazoo if I used my phone much at all. I limited my usage to when I could connect to wifi (which wasn’t often). I was working and traveling with Canadians so felt safe and didn’t need to use my phone much to get a hold of people. During down times though, I found myself instinctively grabbing for it to delete unwanted emails, check social media, give my hands and eyes something to do or feed the need to be connected. I had to stop and actively tell myself that I could totally get connected to all the beauty, people, and nature around me. Phones may give us a world of information at our finger tips but nothing beats the real life of people watching and mountains around you. Why wouldn’t I soak up every moment in beautiful Whistler, Canada? Everyone’s experience of the festival is different. Some people go mainly to do yoga, others go to relax, and others are primarily there for the music and night scene. There are so many classes and opportunities, you can catch the FOMO (fear of missing out) bug. I know I did at several of the festivals I’ve been to. Go with your gut, listen to your body and follow what opportunities speak to you. “Find your true north.” Remember be open to possibility, go with the flow, you’re not alone and connect to the real life! Once a dancer, now Certified Health Coach, Yoga Instructor, Food Blogger, Photographer and over all mind/body/soul health enthusiast, Katarina Arneri? has a love and passion for teaching and health. Based out of Chicago, she specializes in stress management, digestive health care, and Stand Up Paddleboard Yoga. She was the first to bring S.U.P. Yoga to Chicago in 2011 and is an ambassador for BOGA. She travels the US to teach S.U.P. Yoga and lead S.U.P. Yoga Teacher Trainings. Katarina believes you don’t find a happy healthy life, you create one. What steps are you taking today to create yours? If you ha d told me a year ago I would be writing an article about my dreams and intentions, planning, hosting yoga-based events, and supporting my community with the resources I now have, I wouldn’t have believed you, not in a million years! If you’ve ever taken a yoga class, some of these tips may sound familiar. If you have never taken a yoga class then maybe it’s time. . .
1. LET IT GO: This is a mantra that I say to myself, several times a day, seven days a week! If it isn’t serving you, if it’s holding you back, giving you negative energy… Let. It. Go. That monkey chatter telling you that you can’t do something because of xyz excuse? You do not… I repeat, DO NOT need it. Need a reminder? 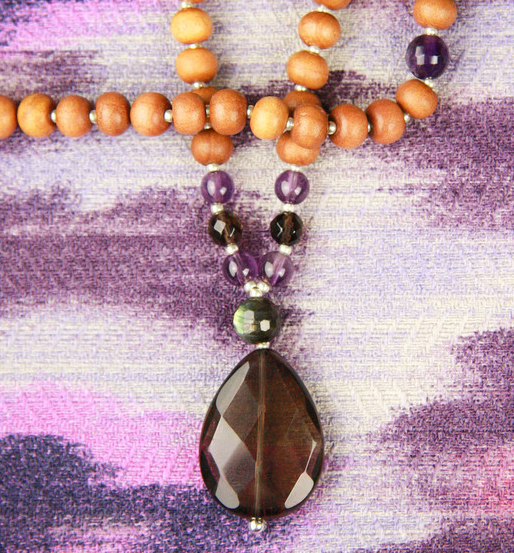 The Let it Go Mala is an excellent way to keep this intention in the forefront of your mind. 2. BREATHE: Throughout our days we may encounter something that stresses us out – whether that be hitting snooze one to many times and running late, or our kids talking back to us, or our boss telling us we aren’t performing to our standards. Don’t forget to breathe – several inhales and exhales with or without an intention (“Stay Present”, “Let It Go”, “I Am Loved”, etc.) can make a difference. 3. DREAM (BIG): What makes you happy? What makes you excited and scared all at once? What are you passionate about? If you’re anything like me, you may not have known what you wanted to be when you grew up. I DO know that I love helping people, sharing things I’m passionate about (yoga), and supporting those that are closest to me! If you follow what makes you genuinely happy, you are on the right track. 4. MANIFEST AN INTENTION: Sometimes things happen organically without planning or putting much thought into it (or maybe I’m getting better at this manifestation? )… but sometimes it takes a little more! Your manifesting be as simple as staying positive or as huge as teaching a yoga workshop to 300 people at a large festival. It doesn’t have to be scary or set butterflies in your tummy… but it should be something positive and worth thinking (and dreaming) about. 5. WRITE IT DOWN: Seeing your dreams and intentions on paper can help you visualize them when you’re feeling stuck in life or literally stuck in traffic. What are your hopes and fears? What is holding you back? 6. SHARE: Dreaming about something and thinking about it is great… but to be able to keep yourself accountable and on track, you should be sharing these thoughts with your trusted tribe. These are people who believe in you when you don’t believe in yourself, who keep you motivated, tell it to you straight when your random idea isn’t going to work, and will help you map out a new idea. Sharing helps solidify your intentions! 7. GATHER YOUR TRIBE: Surround yourself with people who will support YOU! Maybe you have one or two people that will walk through hell and back with you, but maybe you don’t. The law of attraction is “likes tend toward likes”. Your friends should have similar intentions for themselves personally and may not understand your crazy ideas, but they GET you and still support you. And just like your friends support you, there should be some level of support going back to them. Be the person you want to surround yourself with! 8. 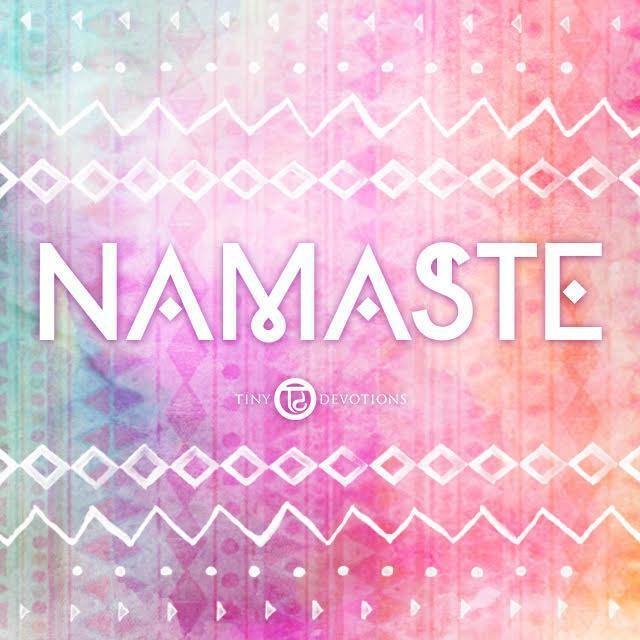 DO SOMETHING THAT MAKES YOU HAPPY: For myself, I love doing yoga – it makes my mind and body happy. I like to set aside time – even if it’s 10 min during my day to myself. It isn’t selfish… it will help you be a better person to yourself and for the people you surround yourself with. 9. COME BACK TO YOUR INTENTION: What is your intention? Maybe it’s simple and you can just remind yourself throughout the day. Maybe it’s bigger and you need more reminders – like putting an image on your lockscreen of your phone or posting a note by your mirror or door so you see it daily. There is something about reminding ourselves about what our intentions are that helps keep us focused and centered. Get rid of the negative self chatter and honestly see yourself doing what you’ve only dreamed about. You will be happier for it. Get Moving: Why Endorphins are Cool, and How They’ll Heal Your Soul in 30 Minutes or Less! Let’s face it; sometimes it can be tough to get ourselves moving. Life can get busy, and every day it seems like we have less and less time to get everything done. With the busy work and social lives we try to maintain, it’s difficult to fit in a good sweat-it-out time to bring our minds and bodies back to zen. Trust me, guys, I get it. I also get that the last thing on the planet you want to do after dealing with all of the chaos is moving your body more. We want to relax, but what we don’t realize is moving actually activates a magical little thing that makes us happy! In fact, the activation of these things can transform any lack luster mood into superhuman strength. Those things, dear boho friends, are endorphins. Endorphins are a relatively recent discovery. 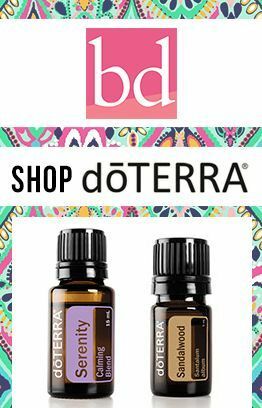 Research in the seventies attributed them to inspiring the neuro-transmitters in the brain to trigger releases of emotional calm, euphoria, and yes, even pleasure (wink, wink). These releases not only serve as a support system for the emotional being, but also aid in stimulating the central nervous system, improving the health of the brain and spinal cord. This allows our brain to interpret external stimuli with a stronger, more grounded perspective (i.e. Coping with a huge deadline at work). There are over twenty types of endorphins that help to create emotional awareness in the body, and the more active we are, the more we release! Linked to the creation of seratonin (the “happy” hormone), endorphins are crucial to anyone looking to live a balanced, health-conscious lifestyle. The good news here is that getting them moving doesn’t take a lot of time out of that busy schedule. In fact, doctors have recommended that up to thirty minutes per day can make a huge difference in your level of health and fitness. Though that may sound daunting at first, it’s as easy as walking to work, going out for a jog with the pooch, or even dancing it up at your favourite Saturday night hot spot! So, what are some other ways to start inspiring those excellent endorphins? 2.Enjoy an outdoor activity with a friend or loved one. 3.Go swimming at the beach, if the season and weather permit it. For me, I love to get my heart pumping by taking in a blissful yoga class. It helps me to get the stretch I need, and serves as a heart-pumping work out that my body will thank me for. There are no bounds to the fun and exciting ways you can get your body moving, so get creative and get ready to reap the benefits of active, endorphin inducing lifestyle! With real balance in life comes a true and perfect way to heal the soul. When the body finds a state of bliss, the mind and spirit quickly follow. You will be surprised at the wonderful changes your Being will experience with a little extra movement in your life. Trust me, boho friends, taking a little extra time per day will make a big difference in the long run. You can count on it! Lauren is a guest writer for the Huffington Post and Social Media Coordinator in Toronto. Find More of her below!